← Where have all the Vikings gone? My father was a sealer. 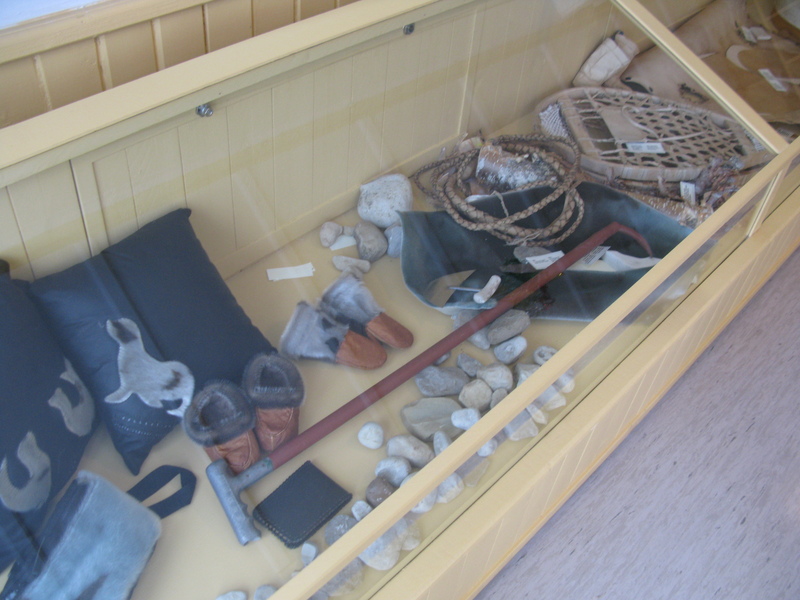 He would prepare the seal skins over a several week process, soak them in chopped pieces of bark and ensure they were tanned to perfection. It is more than 13 years later and I still proudly wear the seal skin boots made due to his hard work and dedication to the tradition. 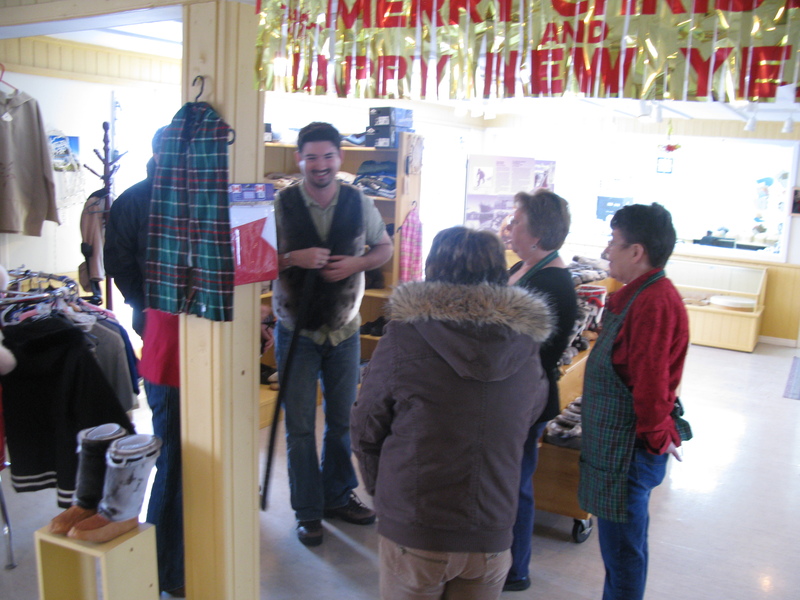 In the photo above, I try on a seal skin vest. Although, it was not my size. As my mother would say, “you’ll have to eat a few more figgy puddings”. I did try on the seal skin belt, which fit perfectly. I could not resist but to purchase it. A number of people have since complimented me on it. This organization is evidence that there is a market for seal skin products and there always will be no matter how many countries that close their border to the import of this product. Santa gave me a pair of seal skin slippers for Christmas. I have since purchased a second pair for the Office at the Confederation Building. 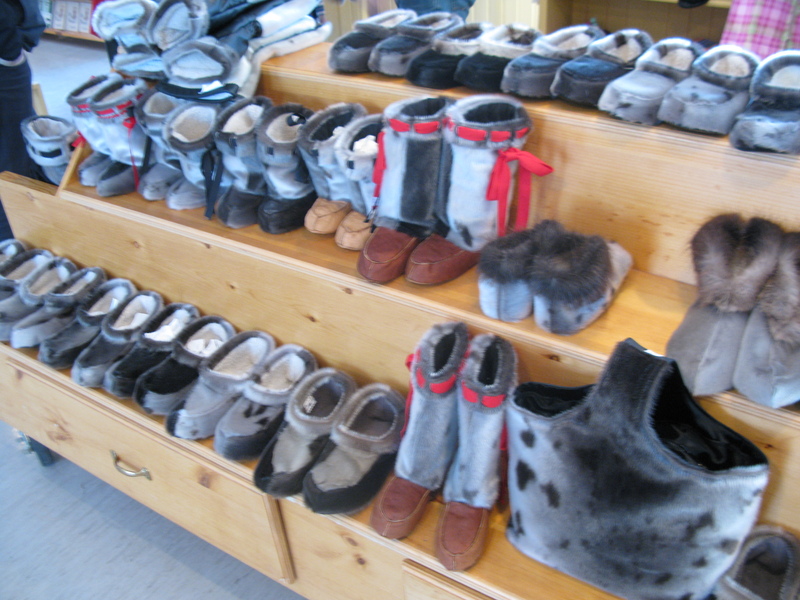 This local social enterprise is ensuring that seal skin products remain a hallmark of our culture and tradition. I am looking forward to picking up my order next week as they have opted to make a custom skinny tie for me. In 2011, I wrote a letter in retaliation of Ellen DeGeneres‘ stance on the seal hunt. I stand by that position. It is time for us to take control of our own destiny and depend less on the global market place to purchase our product but to focus on a co-op or social enterprise model that creates local jobs, teaches long-lived skills, pass on traditions and educate people of the economic and social benefits sealing has had to the people of the Great Northern Peninsula and other parts of Canada. If you would like to find out more about GNP Craft Producers, visit www.gnpcrafts.ca. 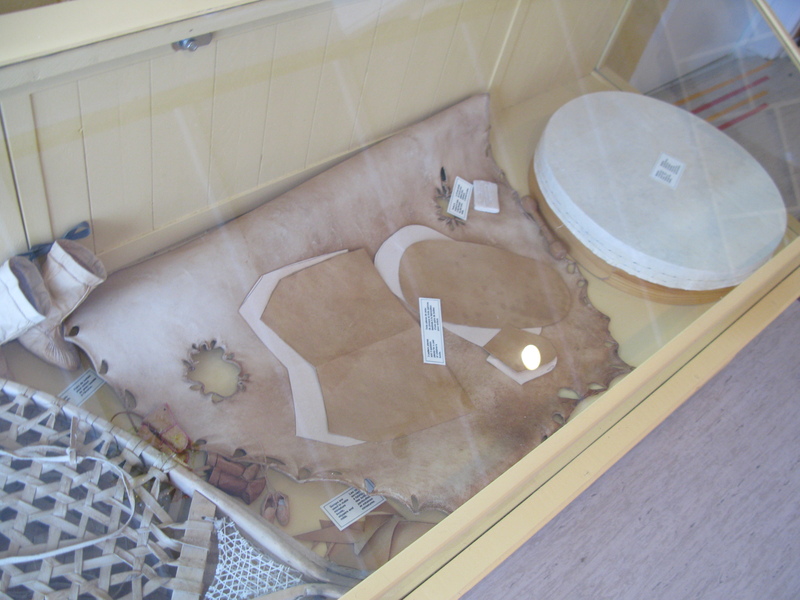 Posted on January 24, 2012, in Community Economic Development and tagged christmas, Confederation Building, Craft, Great Northern Peninsula, Newfoundland & Labrador, seal, Seal hunting, seal skin, tradition. Bookmark the permalink. 5 Comments.